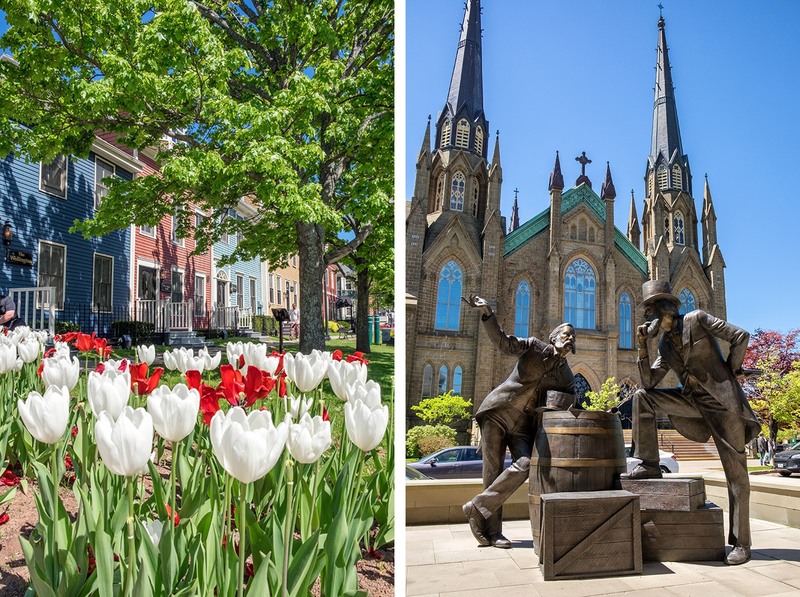 From red-brick historic buildings to pastel waterfront houses, from art galleries to gourmet restaurants – Charlottetown might be Prince Edward Island’s capital, but with a population of 35,000 it still has the friendly feel of a small town. It’s the birthplace of Canadian Confederation but is still a modern city that’s always developing. 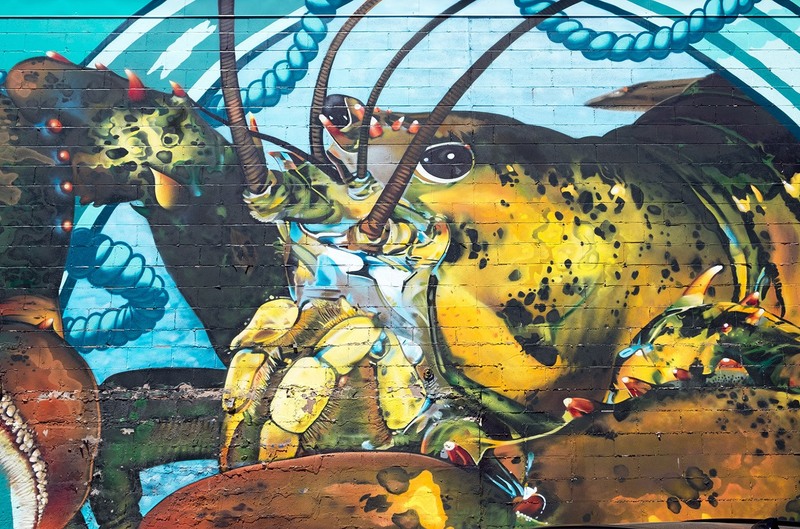 It’s a culinary powerhouse at the heart of Canada’s Food Island, surrounded by lush farmland and waters rich with seafood. It’s got plenty to see and do but you can walk everywhere. Basically it’s the perfect weekend break spot, where you can spend 48 hours eating, drinking and sightseeing but still feel relaxed at the end of it. So here’s how I’d spend my perfect weekend in Charlottetown. 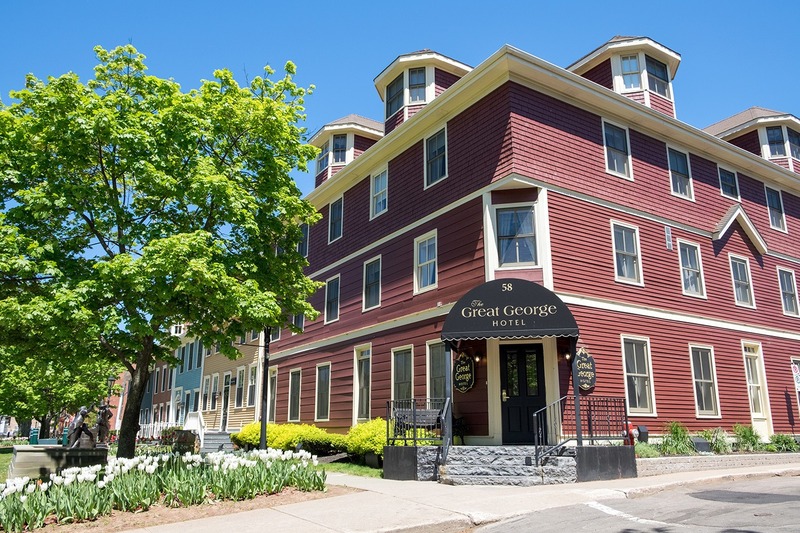 Right in the historic heart of Charlottetown, the Great George Hotel is on a street where Canada’s founding fathers once walked (there’s a statue of two of them right outside the entrance). Its main reception building dates back to the mid-1840s, with a cosy lounge with open fire where guests have breakfast and an evening drinks reception. But the 54 bedrooms and suites are spread through 17 different historic buildings across a city block, all lovingly restored to their former glory. So each room is unique – mine was spread over two floors with the bedroom downstairs and a kitchen, lounge and balcony upstairs – with antique furniture and a warm, cosy feel. 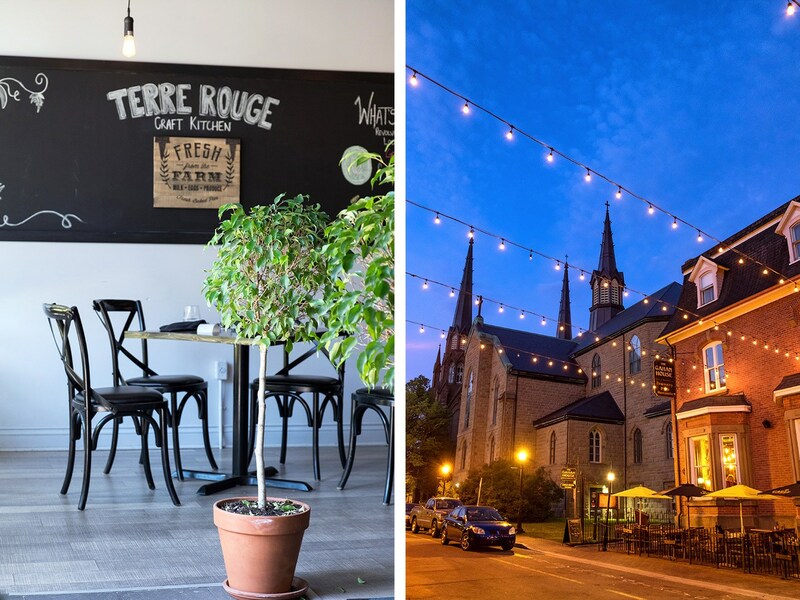 Rooms start from C$139 a night – and if you check in before 4pm, the hotel runs a free walking tour where you can find out a bit more about Charlottetown’s fascinating history. If the sun’s shining, head to ‘The Row’ for an early evening drink. 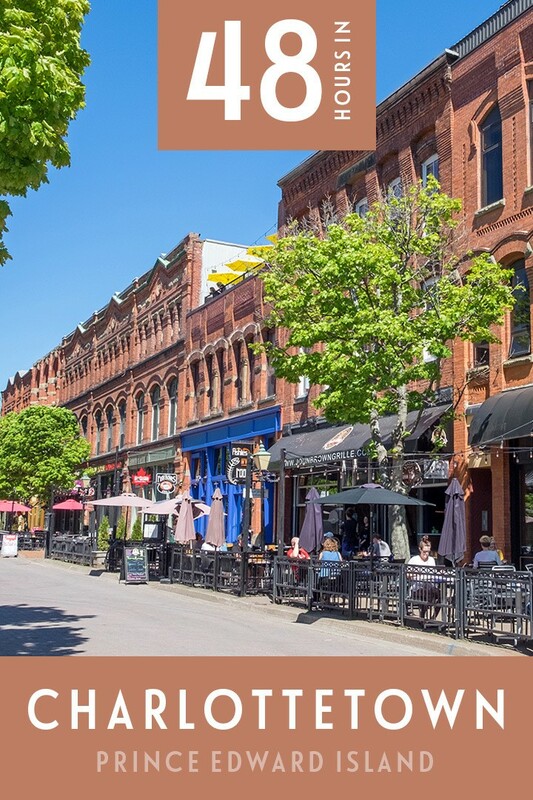 Victoria Row’s a cobblestone street that’s home to some of Charlottetown’s prettiest red-brick buildings. In the summer it’s pedestrianised so you can grab a table on the pavement for the perfect people-watching spot – or head upwards to the Fishies on the Roof rooftop patio bar for a bird’s eye view. If it’s too cold to sit outside, Charlottetown has a growing microbrewery scene with three breweries creating seasonal and locally inspired brews – take your pick from The Gahan House, PEI Brewing Company or Upstreet Craft Brewing. Leave room for dinner at the Claddagh Oyster House for a taste of some of PEI’s justifiably famous seafood. The oysters are the star, but there’s also tasty local salmon and lobster on the menu – and there’s often live music in the bar later on. 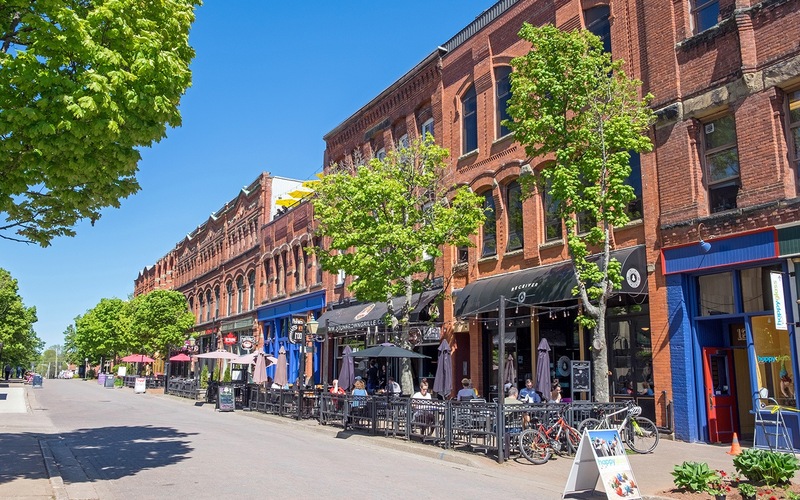 Start the day with a tour of Charlottetown’s historic and cultural highlights. Just opposite the Great George is St Dunstan’s Basilica. This is the fourth Catholic church on this site – the last one burnt down after only six years. So it was rebuilt bigger and better (and more fire-resistant) in 1919, with a design modelled on St Patrick’s Cathedral in New York. It’s been designated a National Historic Site and is a peaceful place to wander around. Next grab one of the best coffees in town from the hip Receiver Coffee Co back on Victoria Row, a café with an exposed brick, industrial style that wouldn’t look out of place in Shoreditch. Just across the street is the Confederation Centre of the Arts, an arts, culture and heritage centre with a whole block of theatres, galleries and exhibitions. Start with a visit to the Upper Foyer to find out about Charlottetown’s part in the story of Confederation, where the provinces of New Brunswick, Nova Scotia, Ontario and Quebec met in 1864 to form a new nation – Canada. Province House where it all happened is being renovated at the moment, but the Arts Centre has a replica of the Confederation Chamber where the first meeting was held. Keep an eye out for the Confederation Players as you walk around Charlottetown too – these costumed guides lead walking tours and take you back to the way of life in 1860s PEI. 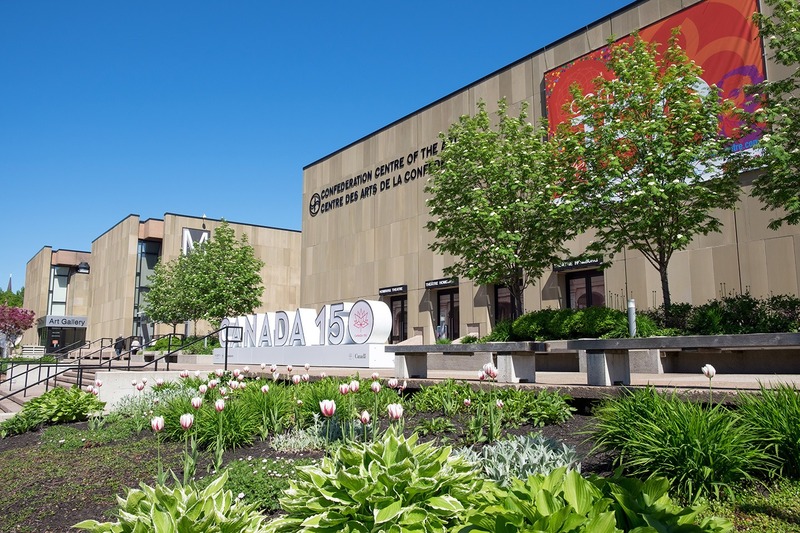 Check out the Confederation Centre’s art gallery for changing exhibits of art from around Canada, with a mix of paintings, sculptures and installations taken from over 17,000 objects in their collection. Then take a 30-minute walk across the city to the Charlottetown Farmers’ Market for lunch. The market features food producers from across the island, selling fresh produce as well as tasty homemade dishes, from Thai noodles and Mexican tacos to cupcakes and Dutch poffertjes. There are also stalls selling crafts and gifts like pottery, jewellery, soaps and wood carvings if you’re looking for presents to take back home. Walk off lunch on your way to Victoria Park, passing some of the city’s most impressive houses along the waterfront. 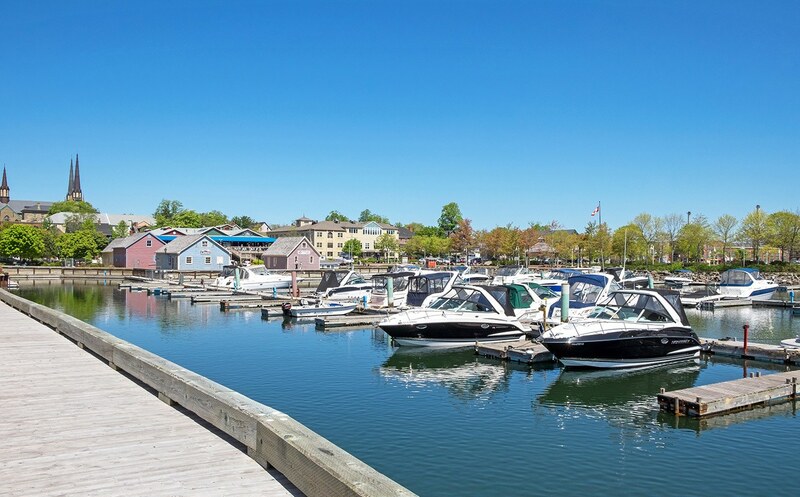 Follow the boardwalk along the waters edge until you reach Peake’s Wharf, where the Fathers of Confederation first came ashore. It’s changed a bit since then with pretty pastel-coloured wooden buildings lining the harbour. There’s often live entertainment on summer afternoons, as well as shops and restaurants. Don’t miss a stop at Cow’s Creamery for a scoop (or two). 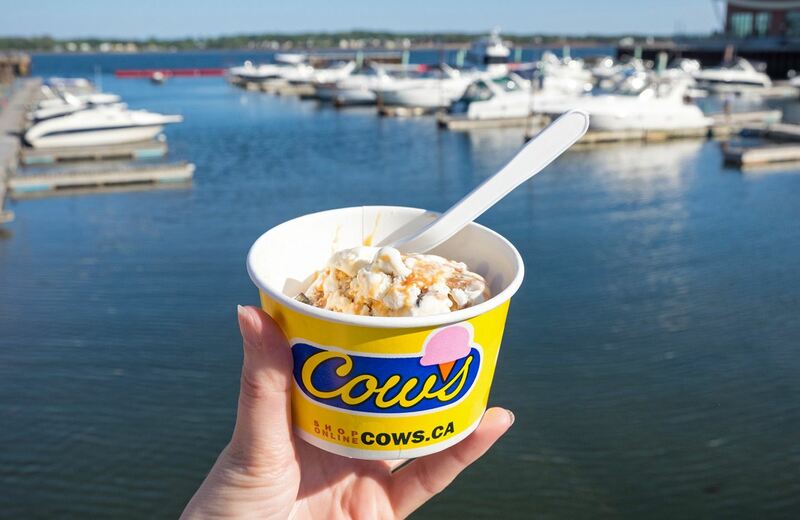 The company was founded in PEI and now sells its deliciously creamy ice cream all across Canada and even as far away as China. Choose from their cow pun flavours (my fave was the Wowie Cowie with vanilla ice cream, toffee, chocolate flakes and crunchy bits – I’m not even a big ice cream fan but I came back twice!) and cow-themed merchandise. Have an early dinner at Terre Rouge, a relaxed bistro that specialises in farm-to-table cuisine and comfort food classics with a twist – think mac and cheese specials or smoked aubergine curry. Then head back to the Confederation Centre to catch a performance of Anne of Green Gables the Musical. This musical adaptation of PEI’s much-loved classic book has been performed here every year since 1965, making it the world’s longest-running annual musical. For the full Anne experience, pick up some chocolates from neighbouring Anne of Green Gables Chocolates to eat as you watch. The musical’s on from June to September, but if you miss it try Anne and Gilbert at the Guild or one of the others shows at the Confederation Centre. Blow off the cobwebs with a morning cycle ride. The Confederation Trail runs for 270 miles right across the island, and as it’s an old railway line there aren’t too many hills to tackle. You can hire a bike from Outer Limits Sports (from C$35 for a full day). 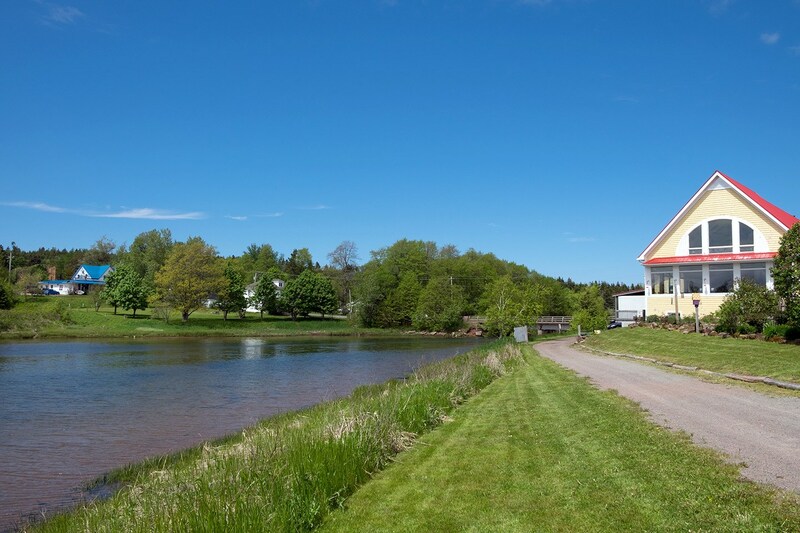 A spur connects Charlottetown to the main Confederation Trail, and you can choose how far you want to go – it don’t take long to get out among the island’s lush, green countryside. Or the local tourism website has some suggested loop routes. And if that sounds too energetic, you can also hire an ebike or cycle one way and arrange a shuttle back with the bike hire shop. Refuel with brunch at Sims Corner Steakhouse & Oyster Bar (served from 10am–4pm). If you’re not all seafooded out by now, try their seafood bowl which is packed full of scallops, shrimp and mussels, or there are breakfast options like French toast or steak and eggs, along with mimosas and a smokey bacon Manhattan. Then finish off the weekend with a wander around downtown Charlottetown’s shops and galleries – there’s a whole range of independent boutique shops selling antiques, art, jewellery and knitware, and of course there’s the Anne of Green Gables Store for everything Anne-related. 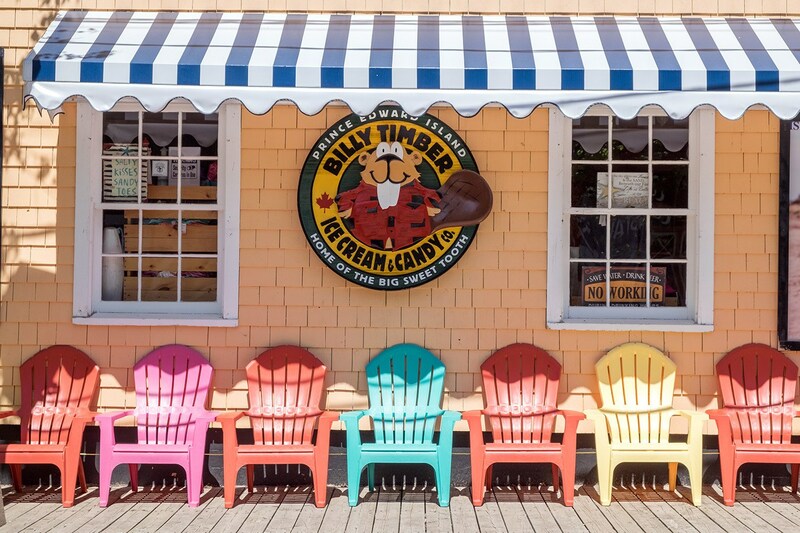 Visit Canada Keep Exploring to find out more about Prince Edward Island. 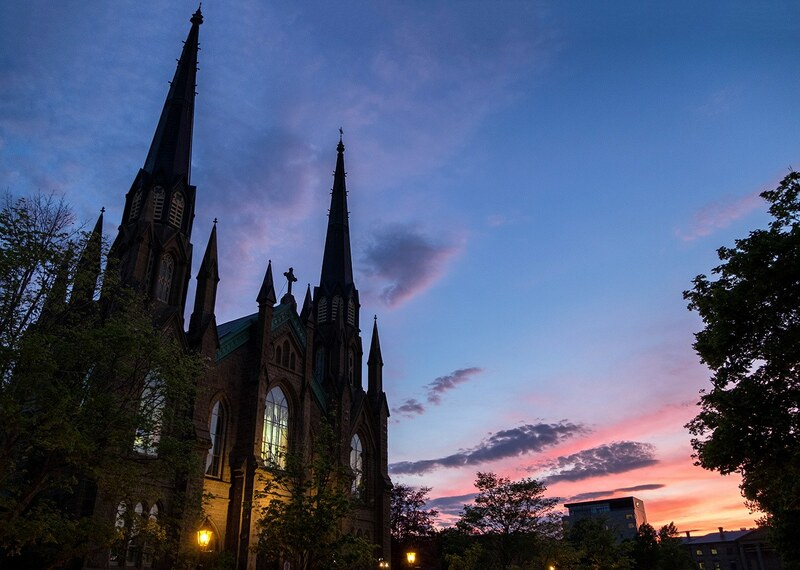 I travelled to Charlottetown via Toronto with Air Transat (prices start from £346 return). Canadian Affair also offers a 14-day Maritime Magic Treasures fly-drive package which visits Prince Edward Island and Nova Scotia. Big thanks to Destination Canada, Canadian Affair, Air Transat and Tourism PEI for hosting me in Prince Edward Island. All opinions are, as ever, my own. As usual, you seem to always know when to go to certain places. The weather in Mahé looks perfect! Blue skies with a little bit of clouds to add more character, just lovely. I’m a little late commenting here but I wanted to say that I echo the sentiments you describe. I’m not American, but the hospitality and open mindedness you describe was something I experienced as well.